Animal Wildlife | Brazilian Tapir | brazilian rainforest, brazilian art, endangered tapir, tapir endangered, brazilian culture, brazilian rainforest animals, brazilian animals, brazilian nuts - The South American Tapir (Tapirus terrestris), or Brazilian Tapir (from the Tupi tapi'ira) or Lowland Tapir or (in Portuguese) Anta, is one of four species in the tapir family, along with the Mountain Tapir, the Malayan Tapir, and Baird's Tapir. 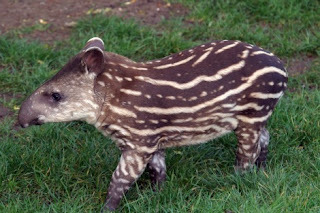 It is the second largest land mammal in South America, after Baird's Tapir. 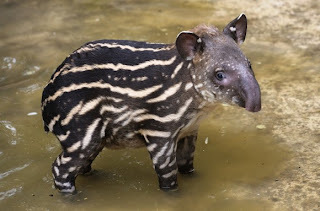 The Brazilian Tapir (also known as the South American Tapir) is known to be a fantastic swimmer and the Brazilian Tapir is generally found close to water in the Amazon Rainforest. 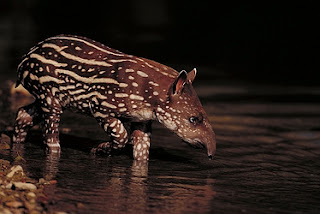 It is dark brown in color, paler in the face, and has a low, erect crest running from the crown down the back of the neck. The round, dark ears have distinctive white edges. The South American Tapir can be found near water in the Amazon Rainforest and River Basin in South America, east of the Andes. Its range stretches from Venezuela, Colombia, and Guianas in the north to Brazil, Argentina, and Paraguay, in the south, to Bolivia, Peru, and Ecuador in the West. 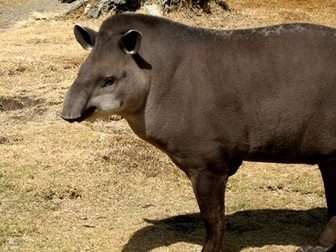 It is an herbivore animal. Using its mobile snout, this tapir feeds on leaves, buds, shoots, and small branches that it tears from trees, fruit, grasses, and aquatic plants. 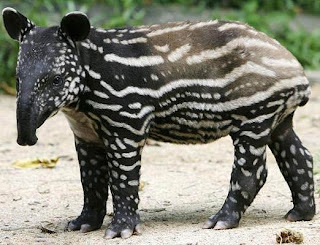 1 Response to "Brazilian Tapir"